We eat a lot of broccoli in my house. My two-year-old is obsessed with it, so needless to say, I try to keep it on hand. 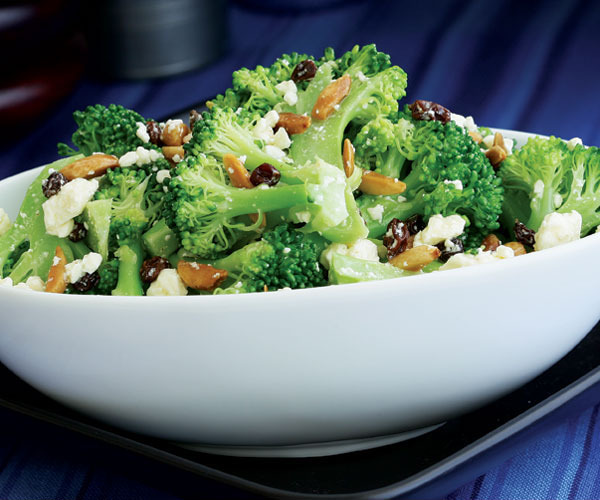 While my son prefers his broccoli boiled and combined with a quick sauté of tofu, garlic, and green onion (I’m not making this up), my husband and I like to branch out to other cooking methods, including slow-cooking, sautéing, and roasting. The method I choose depends on how much time I have and what flavor and texture I’m going for (see the methods below). 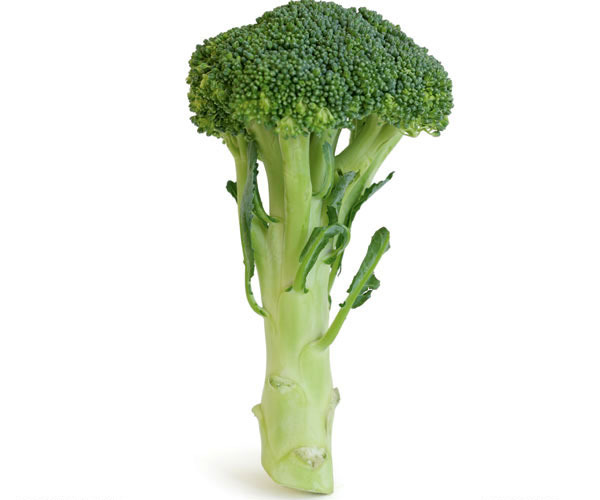 Many supermarkets sell broccoli crowns, but I prefer buying whole broccoli, stem and all. As long as you peel the stems before cooking—the outer layer tends to be tough and fibrous—they’re just as tasty as the florets. 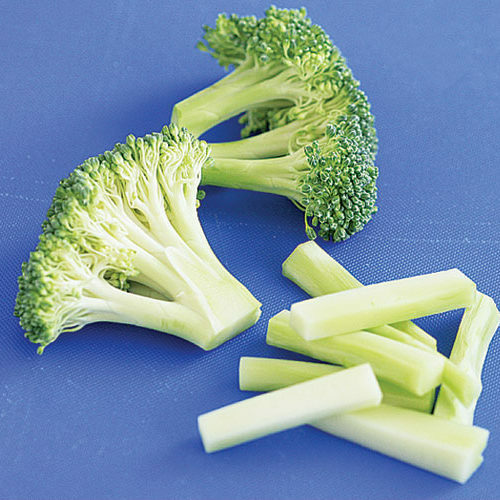 When buying broccoli, look for deep, green color and nice, tight flower heads, which means that the broccoli is fresh. Don’t make the mistake of cooking broccoli until it’s limp and lifeless. 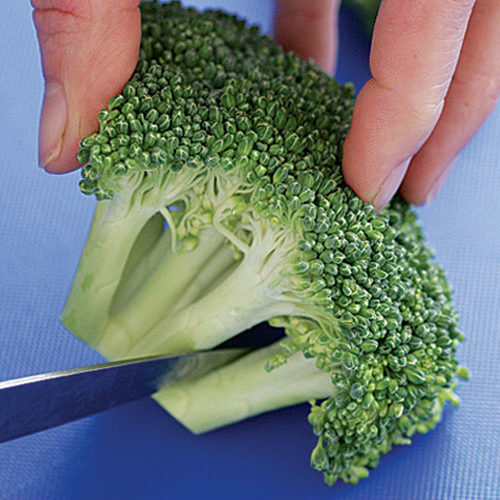 Broccoli is done when it has lost its crunch but still has a bit of toothiness left; a sharp knife will pierce the stems easily. 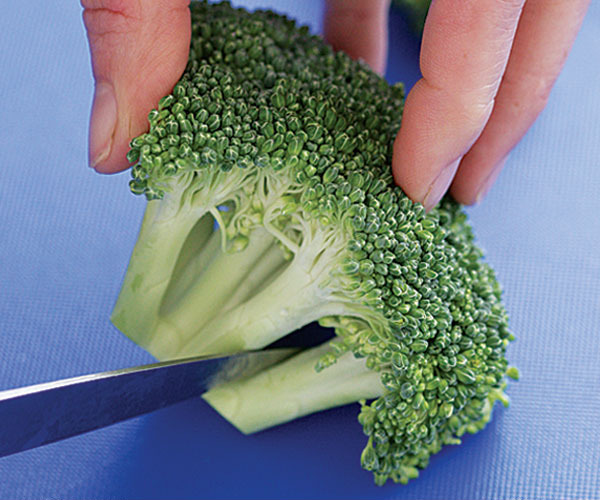 (Don’t use a fork—by the time the tines pierce the stems, the broccoli will already be overcooked.) 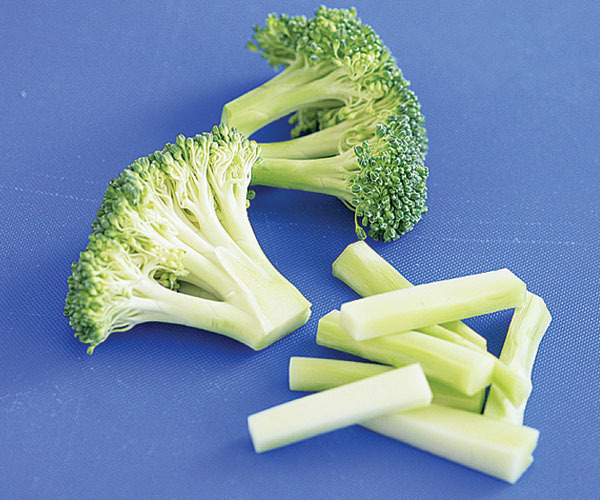 To be really sure if your broccoli is perfectly tender, try tasting a piece. Roasting is easiest of all, and is my new favorite method. 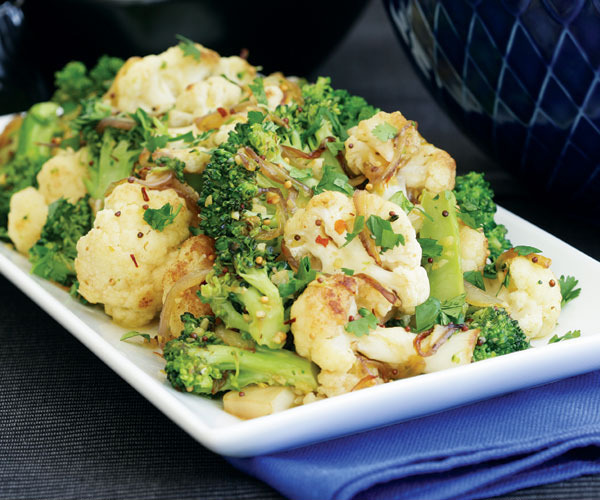 It has all the caramelly goodness of slow-cooked and sautéed broccoli, and the florets get nice and crisp. 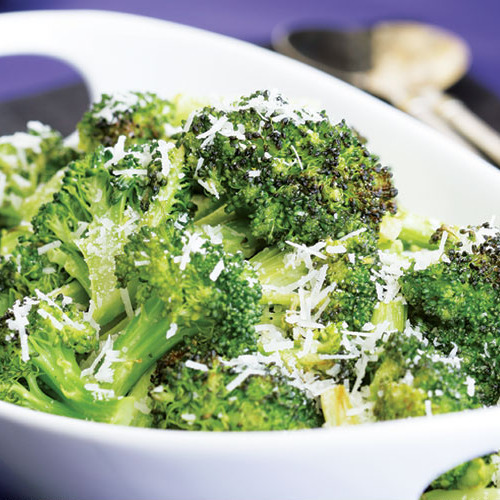 The technique couldn’t be simpler: Slice the broccoli, toss it in olive oil, season it with salt, and pop it in a hot oven. In twenty minutes or less, it’s ready. My lunchtime favorite is to finish it with a few drops of fresh lemon juice and grated Pecorino. Slow-cooking makes it silky. 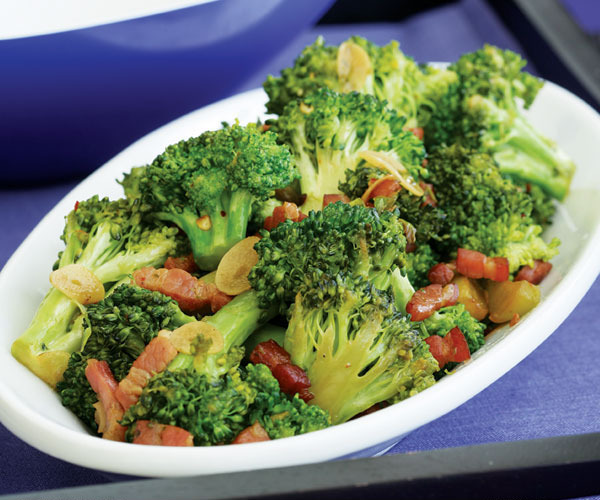 This method is like a low-heat sauté; the broccoli cooks slowly in oil and becomes browned and deeply flavorful. Choose the largest skillet you have (the more surface area, the better), be sure to stir occasionally, and keep the heat low to prevent scorching. 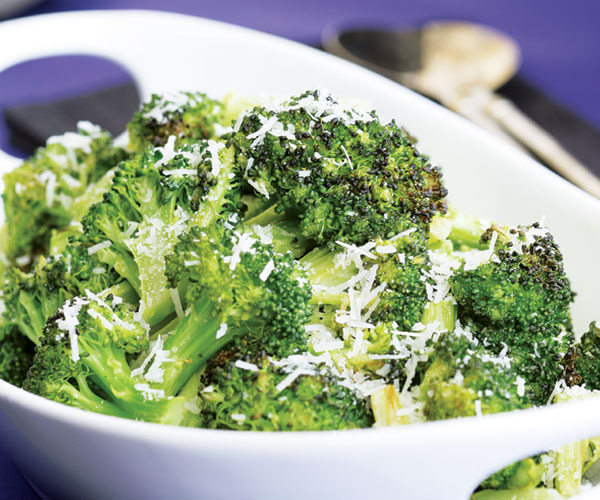 Before serving, give the dish a minute or two to cool; slow-cooked broccoli tastes better when it’s not hot out of the pan. 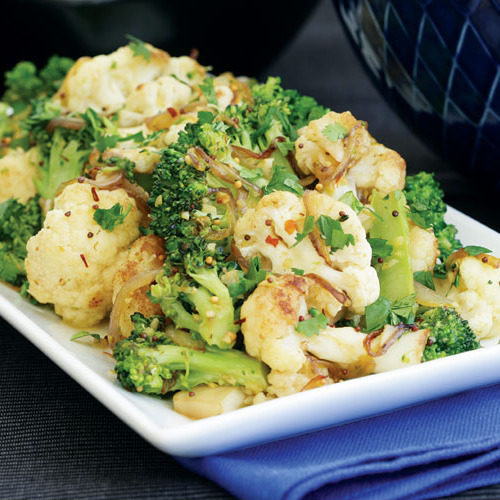 Sautéing gives a golden edge to broccoli. A large, very hot skillet is crucial to this method. After adding the broccoli, I like to add a little water to the skillet; this creates steam that speeds up the cooking. Once the water evaporates, don’t stir too frequently, or you’ll interfere with the browning. 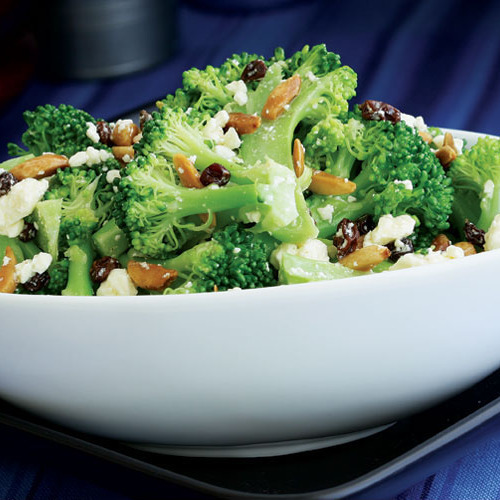 (If the pan begins to smoke or scorch before the broccoli is tender, add another drizzle of oil and lower the heat.) 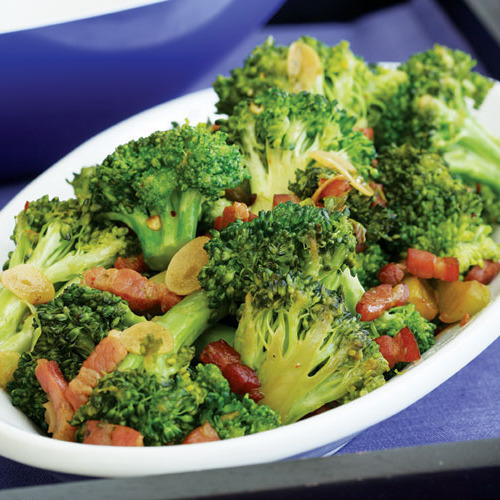 I choose this method not only when I want browning, but when I combine broccoli with other vegetables. 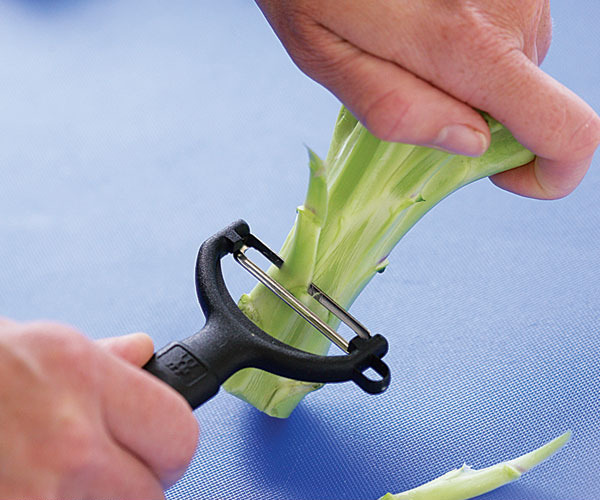 Cut the florets into the size you need, but don’t cut through the buds-instead, use a small knife to cut lengthwise through the stem. This method lets the florets separate easily but keeps the buds intact. You get fewer “bud crumbs” (which can burn easily), and the florets will retain their tree-like form. You’ll end up with intact florets, some of which will have a flatter surface area on the stems; this helps them brown easier. 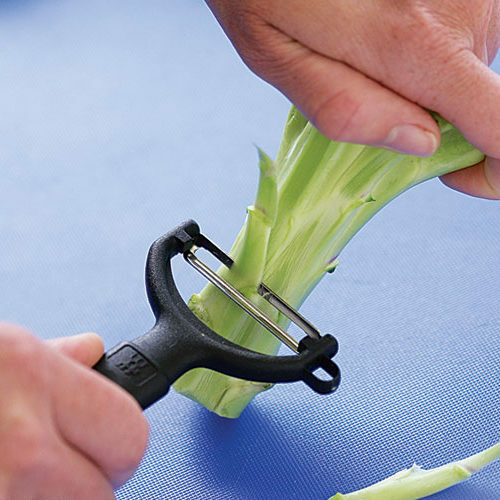 You can cut the large stem into baton-shaped pieces.